Between petting Izak the goat and holding one of his frequent "press avails" with reporters, Gov. 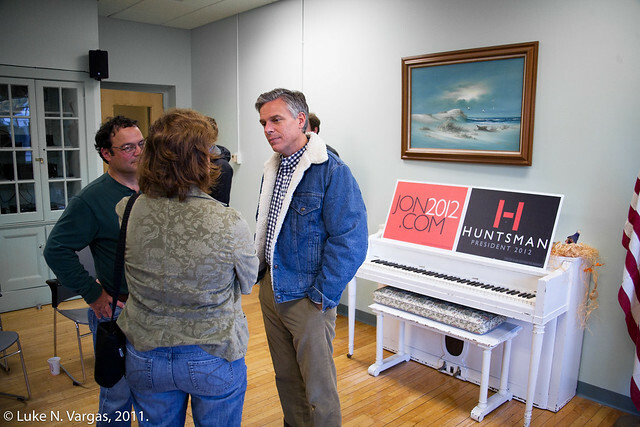 Huntsman lead a town hall meeting with Dover voters yesterday. 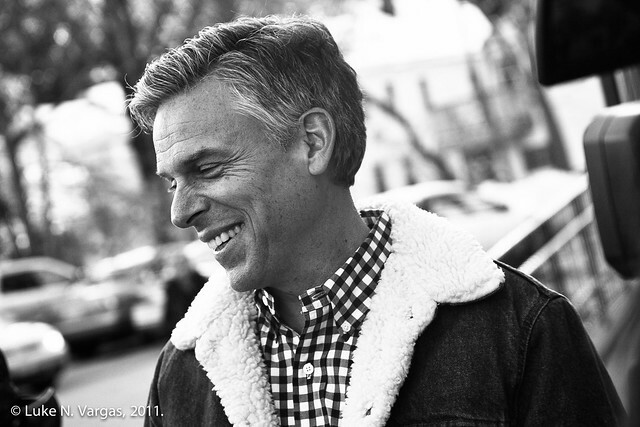 A memorable moment came when an elderly man smiled and nodded as Huntsman rattled off the names of various far-flung Pacific islands crucial to maintaining security in the Southeast Asian theater; I imagine the man hadn't heard a politician mention those foreign-sounding names with such familiarity in at least a half century. View complete Dover town hall photography HERE.